The “man-made humanitarian catastrophe” in Yemen has even driven desperate parents to sell their daughters for food, an Oxfam director told RT. Yemen’s civil war, ongoing since 2015, pits Iranian-backed Houthi rebels against the government of Abdrabbuh Mansour Hadi. Hadi is supported by a coalition of Arab and Gulf states, including Saudi Arabia and the United Arab Emirates, which is backed by US intelligence and logistical support. The coalition bombing campaign has left almost 18,000 civilians dead, according to the Yemen Data Project. Western powers have come under increasing pressure to halt weapons sales to Saudi Arabia in light of the mounting death toll, with the targeting of a bus full of schoolchildren last August triggering an international outcry. 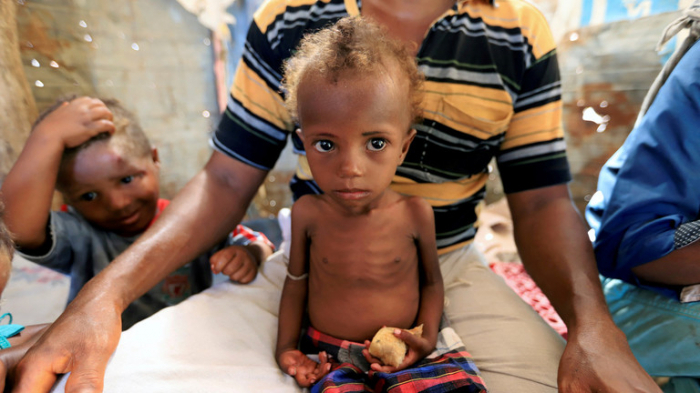 The Saudi land, sea, and air blockade of Yemen has resulted in shortages of food, medicine, and clean water in what is already the Arab world’s poorest country. Rather than throwing more aid at the problem, the report recommends fighting hunger at its cause. Its authors welcomed the UN Security Council’s adoption of Resolution 2417 last May, which allows the council to sanction parties that use starvation as a weapon of war. Although the UN has not yet sanctioned Saudi Arabia for its role in Yemen’s humanitarian crisis, the US Senate voted last month to block further American involvement in the war. President Trump, however, has vowed to veto the bill.